Current Revivals | Pray for Revival! You are currently browsing the category archive for the ‘Current Revivals’ category. Known for his roles in “L.A. Law,” “Psych” and numerous other hit shows, Bernsen said the “worst day of his life” was the day when he and his wife had their unborn child aborted, according to The Christian Post. Now a devout Christian, Bernsen shared the story this week during the National Religious Broadcasters Christian Media Convention in Florida. Everything changed with their second child. Initially, Bernsen said they were excitedly preparing a nursery and going to checkups. Then, not long after finding out they were having a son, the doctors gave them some bad news. “We go in for our last trimester checkup and the doctor looks at us and he says, ‘We have a little problem, the amniotic fluid is not forming, the kidneys of the baby are disappearing,’” he remembered. “A couple days later, we return and he says, ‘I’m going to give you some very bad news. I’m not God and I can’t tell you for sure but I’m 99.99-and-a-tenth percent this baby would not make it to term and even worse — Amanda (my wife) there’s a danger to your health,’” Bernsen continued. May the Lord send revival to His church in 2017! I belong to a liturgical church. We divide each year into liturgical seasons. This week we spend three days in transition from the season of Lent into the season of Easter. Today, the first of those three days, is called Maundy Thursday. Even people who know it is called Maundy Thursday do not necessarily know what that means. The word “Maundy” comes from the same roots as the words “mandatory” or “mandate.” Today is Maundy Thursday because we celebrate one of the great mandates of our tradition. Our understanding of Maundy Thursday comes from the meal many people know as the Last Supper. It grows from the roots of Christianity planted in the Jewish community. 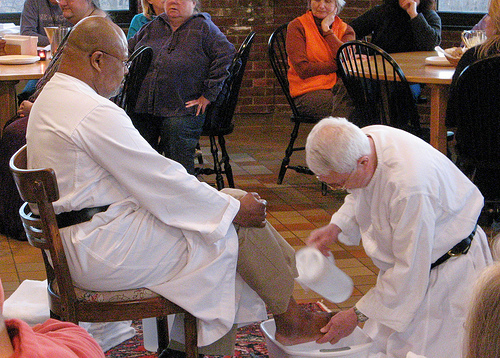 Before observing their Seder meal, Jesus washed the feet of the disciples. This was a demonstration of servant leadership. Everyone was worthy to be served. No one was left out. This act of servant leadership, an expression of love, gives us an example to follow. We remember, and we practice following that example. We are real people. We do not always behave as well as we like, and sometimes we outright fail. Today we remember, we reflect, and we begin again. Even if we have failed every day all year, or longer, we start again today. Could Revival Take Place Again? Jonathan Edwards wrote a number of books that became famous, even during his own lifetime. One of his lesser-known works was a 1746 book titled An Humble Attempt to Promote Explicit Agreement and Visible Union of God’s People in Extraordinary Prayer, For the Revival and Religion and the Advancement of Christ’s Kingdom on Earth. Edwards wrote the book after learning about a group of Scottish ministers who circulated a “memorial” in 1744 calling for seven years of prayer in anticipation of God’s coming kingdom on earth. In An Humble Attempt, Edwards argued for all believers to engage in monthly “concerts of prayer” for worldwide revival and the conversion of the unreached peoples of the earth. As a postmillennialist, Edwards believed the salvation of the nations was one of the final signs that the millennium would soon begin. His prayer was that the transatlantic revivals that had occurred off and on for a generation would “go viral” and cover the entire earth. Though its topic was inspiring, An Humble Attempt was not very influential during Edwards’s lifetime. It did not sell as many copies as The Diary of David Brainerd, did not influence theologians like Freedom of the Will, and did not define authentic spiritual experience like Religious Affections. Nevertheless, some scholars argue that Edwards could be considered the “grandfather” of the modern missions movement among English-speaking evangelicals because of how the Lord used An Humble Attempt in the generation following Edwards’s death. In 1784, an English Particular Baptist pastor named John Sutcliff received a box of books from a pastor friend in Scotland. Included among the books was a copy of An Humble Attempt. After reading the book, Sutcliff began to circulate An Humble Attempt among his fellow Baptist pastors. Inspired by Edwards, Sutcliff and his friends issued a call for the pastors of the Northamptonshire Baptist Association to set apart the first Monday evening of every month for prayer for the heathen and the coming kingdom. The concerts of prayer became popular among the younger pastors in the association and continued well into the 1790s. Sutcliff eventually published a British edition of An Humble Attempt in 1789 and wrote an introduction to the treatise. When the Evangelical Awakening began in Britain in the 1730s, few Nonconformists were vital participants. Most of the “Methodists” were revived believers in the Church of England who were influenced by the Wesley brothers, George Whitfield, or a host of less-famous preachers in England and Wales. Calvinistic Dissenters such as the Particular Baptists were often skittish about the Evangelical Awakening due to a variety of reasons such as class differences between Nonconformists and Anglicans, concerns about the Arminian theology of the Wesleys, and the deadening influence of High Calvinism, especially among London Particular Baptists. 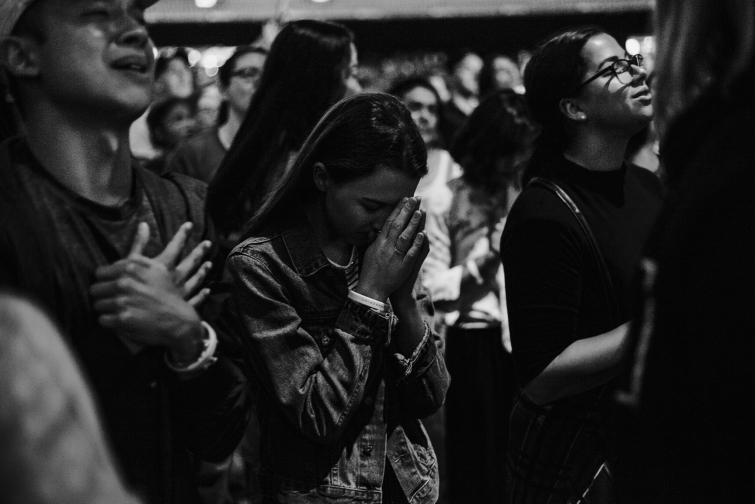 It was not until the next generation when revival finally came to British Nonconformists in the form of what I call the Missionary Awakening. Several of the pastors who answered Sutcliff’s prayer call became early leaders in the Missionary Awakening. Robert Hall Sr. and Andrew Fuller wrote influential treatises against High Calvinism and argued for an evangelical view of Calvinism influenced by Jonathan Edwards. John Ryland Jr. became the principle of Bristol Baptist Academy; many of Ryland’s students became strong supporters of missionary advance. Most famously, William Carey authored his influential treatise An Enquiry into the Obligations of Christians to Use Means for the Conversion of the Heathens, wherein he argued that the Great Commission is a binding command on every Christian in every generation. In 1792, these men formed the Baptist Missionary Society (BMS). Fuller served as secretary of the BMS for over twenty years and Carey became its most famous missionary. From this small missions-minded “band of brothers,” the Missionary Awakening spread to other believers. Over the next decade or so, most of the Particular Baptists who had been influenced by High Calvinism rejected these views and owned the Great Commission as their own. The missions-minded Edwardsean Calvinism of Fuller and Carey became commonplace among most Particular Baptists. The Arminian Baptists also got in on the action. The recently revived General Baptists, led by the Baptist Wesleyan (!) Dan Taylor, formed their own mission society in 1816. The Missionary Awakening also spread beyond the Baptist fold. In 1795, missions-minded Anglicans and Nonconformists formed the non-denominational London Missionary Society. Evangelical Anglicans associated with the famous “Clapham Sect” also formed the Church Missionary Society in 1799. Early leaders in the CMS included John Newton, Charles Simeon, and William Wilberforce. The CMS version of William Carey was Henry Martyn, who, like Carey, also served as a missionary to India and inspired many others to become missionaries. By the early 1800s, the Missionary Awakening had crossed the Atlantic. Between 1800 and 1810, numerous local missionary societies were formed in the Northeast; many of these societies either supported the various British mission societies or focused on evangelizing Native Americans. In 1810, Congregationalists in New England formed a foreign mission society, followed by the Baptists in 1814. Adoniram Judson, the Congregationalist-turned-Baptist, was the central figure in the formation of each of these mission societies. In 1820, American Methodists established the Methodist Episcopal Church Missionary Society. Those who followed Jonathan Edwards advanced his original vision for prayer, spiritual awakening, and missionary advance. Between 1780 and 1820, entire denominations experienced revival, sound doctrine overcame soul-deadening error, numerous new benevolent ministries were launched (I have only referenced the mission societies), and English-speaking evangelicals became passionate about fulfilling the Great Commission. It could happen again. Knowing how God has worked in the past can help us ask some key questions of ourselves in the present. Are we praying for revival in our own spiritual lives? Are we praying for the salvation of the nations? Are our churches setting aside a specific time for focused — even extraordinary — prayer for a global awakening through the advance of the gospel? Do we long for the Lord to move among us as he moved among those who came before us? Like Edwards and his spiritual children, we should pray for global revival through the worldwide advance of the gospel. Consider the horror of that fact. We as a nation will soon have murdered ten timesmore Americans than the number of Jews that the Nazis killed during the Holocaust. What do we think we come of all this? Will we not face the judgment of the Almighty God, unless we cry out in true repentance to the Lord? Did we not see the judgment that came upon Germany in World War II, the devastation and destruction? Do we expect to suffer less when our sins are ten times worse? I am deeply saddened today by President Obama’s statement praising the Supreme Court’s Roe v. Wade decision of 1973 legalizing abortion. 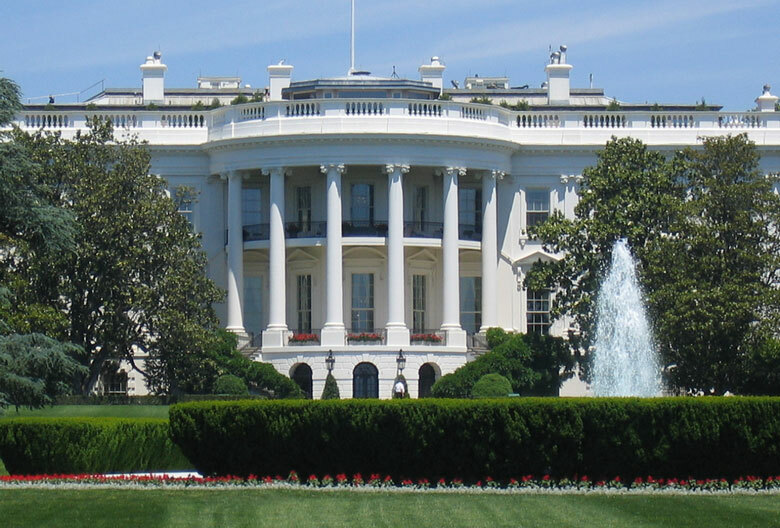 Mr. President, how is abortion-on-demand a “safe and healthy community for all our children”? Why wouldn’t Satanism be pro-life? What else is there? We are all free to make choices. Agreeable or not. Everyone is entitled to choice. What It Means: It’s doubtful either the abortion supporters chanting “Hail Satan!” or the Satanists denouncing them believe in the reality of the Evil One. They think the abortion issues is about them, and their choices. But they’re wrong: abortion is about God. Piper continues by stating that leaving God out of the picture trivializes abortion.